Writing in 1984, Leon Carl Brown argued that the Middle East and North Africa (MENA) was a “penetrated system” where foreign powers’ influence decisively impacted, when not actually drove, domestic policies. A number of leading scholars later echoed the Brown’s statement, outlining the exceptional porosity of the region. Across the MENA, more than in any other part of the world, global and regional actors have fought to gain political and economic influence — transforming some countries into veritable battlefields, as the most recent case of Syria demonstrates. Indeed, since the fall of the Ottomans, there have been numerous instances in which direct and indirect external interventions and meddling in national affairs have exacerbated domestic rivalries, undermined democratic transition processes, and disrupted competitive politics. In the wake of the social upheaval that crisscrossed the region in 2010 and 2011, external actors once again sought to advance their own interests by seeking to alter the domestic balance of political forces in Tunisia, Egypt, Yemen, Libya, Syria, and Bahrain. To differing degrees, all these countries, except Tunisia, have been subject to attempts by authoritarian or semi-authoritarian external actors — namely, Russia, Iran, Saudi Arabia, UAE, Qatar, and Turkey — to assert their influence. Meanwhile, there has been a gradual retrenchment of U.S. and Western democracy promotion groups. Most importantly, in all these countries, external rival forces try to penetrate the political void, mobilizing national groups. Dormant sectarianism, diehard regional rivalries, and new emerging global actors permeate the national sphere in Egypt, Libya, Syria, and Yemen. International involvement and foreign actors’ competition in Tunisia’s national politics differ from what has been taking place elsewhere in the MENA region. Tunisia, unlike many other MENA countries, has not been a battleground in which divisive regional and international issues have played out, thereby creating obstacles to negotiated political transitions. First, the absence of the current biggest regional sectarian divide (i.e., Sunni/Shiite) reduces both the claims of internal factions and the capacity of regional theocratic sponsors — Iran and Saudi Arabia — to intervene by lobbying domestic elites. Moreover, the ethnic homogeneity of the population limits room for anti-systemic forces mobilising segments of society with territorial and cultural claims that might escalate into open confrontation. Second, Tunisia has been a marginal player in the Israel-Palestinian conflict, despite the Israeli bombing of the Palestine Liberation Organization (PLO) headquarters in Tunis. Historically, Tunisia has had peaceful relations with Israel, even though the Hamas leadership was received with some pomp soon after the fall of Ben Ali. In contrast, the Arab-Israeli conflict has been a long-standing burden for countries such as Egypt and Syria, affecting their domestic politics. Third, Tunisia’s relatively sparse natural resources have liberated it from the traditional geopolitical and economic appetites of foreign countries and multinational companies. In Tunisia, neither hydrocarbons nor other resources dominate the economy. As a result, the rent-seeking mechanism, which many experts regard as one of the main reasons for the undemocratic exceptionality of the Middle East and North Africa, is neutralized. Fourth, in geopolitical terms, Tunisia's comparatively low level of attraction in the struggle between the West and Russia in the region is noteworthy. Tunisia was an ally of the Western block during the Cold War, with long-serving President Habib Bourguiba (1957-1987) opposing internal and external leftist influences and his successor, Zine El Abidine Ben Ali (1987-2011) blatantly embracing the West after the collapse of the Soviet Union. Tunisia’s post-revolutionary political void could have opened doors for Russian penetration, as happened in other countries such as Syria and Egypt; however, the relationship with Moscow has hitherto thrived only in terms of tourist flows, with hundreds of thousands of Russians reviving in part the Tunisian tourist industry after the terroristic attacks in Sousse and Tunis el Bardo in 2015. The fact that Russian officials rarely interfere in Tunisian affairs and do not take sides in national politics reveals the country’s low strategic value. 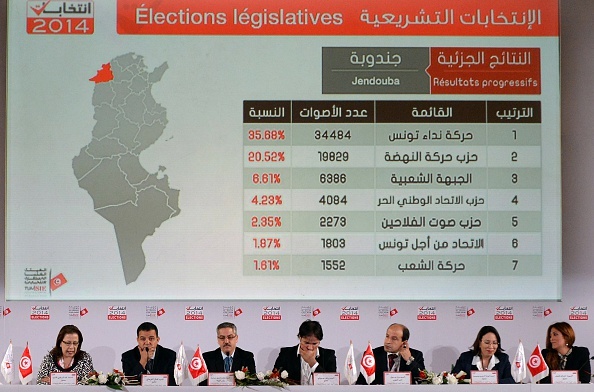 Although evidence shows that authoritarian foreign powers such as Turkey, Qatar, and neighboring Algeria do exert some pressure on Tunisian politics, none of them has a decisive sway. Most importantly, the main divisive issues affecting the region do not find ground to flourish in Tunisia. In a nutshell, Tunisia is the country with the fewest undemocratic foreign powers influencing national politics. By contrast, since the Ben Ali regime’s demise and the beginning of the democratic transition, international promoters of democracy in Tunisia have mushroomed. For reasons intimately related to the minimal capacity of international authoritarian forces to be hostile to such democratic entrepreneurs, Tunisia since 2011 has been at the top of the agenda of many international democratic promoters and democratic states. Numerous international nonstate actors have engaged in multifaceted efforts to assist political parties and civil society groups, channelling financial and technical aid to enhance their capacity. International organizations have diversified their programs to adapt to the new reality on the ground. The United States has significantly increased its presence on the ground. In the years following the launch of the 2003 Bush Freedom Agenda, and the creation of Middle East Partnership Initiative (MEPI), Tunisia was a secondary destination for regional offices of U.S. International NGOs such as the National Democratic Institute (NDI) and the International Republican Institute (IRI). Since the revolution, the country has fallen under the spotlight of both groups, whose annual budget devoted to Tunisia has grown markedly. The activities of such nonpartisan groups have targeted a wide spectrum of national actors, including civil society organizations, universities, political parties, and national institutions. They have played a leading role in supporting local groups in the creation of the national legislative and presidential elections. The preparation of the crucial round of 2014 presidential and legislative elections, when the country was on the verge of falling into political chaos, saw the joining up of NDI and IRI initiatives to assist domestic actors. Generally speaking, since the now seven-year old revolution, the efforts and the initiatives of the U.S. to promote democracy in Tunisia have been steadily increasing. Unlike in other countries, such involvement has never collided with U.S. economic and geopolitical interests. According to an IRI official, despite the Trump administration reducing the funding and threatening to further cut the budget for democracy promotion in Tunisia — converting it into security aid — in Washington there are officials who still lobby the Executive Branch about the need to continue assisting Tunisia politically. United States democratic promotion groups are also monitoring the responsiveness of the elected Tunisian government. Freedom House, which was involved in the promotion of democracy during the last years of the Ben Ali’s regime, is playing a relevant role in urging the government to respect the democratic mandate and answering to the people's needs. In late 2017, as soon as disillusion peaked and the legislative and executive powers were about to take unconstitutional decisions, Freedom House informally bargained with members of the Tunisian administration, “threatening” to downgrade the “appreciation rate” from fully democratic to a lower level. Such a move would have provoked serious reactions from other democratic international actors. The political parties’ capacity to be responsive to the citizens’ needs is the main pillar upon which U.S. NGOs deliver their programs. IRI has carried out 18 opinion polls — including the first ever done after the revolution — transferring the result to all political parties to enhance the effectiveness of their electoral campaigns. IRI and NDI led door-to-door campaign training, multiparty training and one-to-one training, and According to many Tunisian political actors, such training has contributed to lower political tensions. Another foreign actor that raised its profile in supporting Tunisia’s nascent democracy is Germany. Before the revolution, four German political foundations — Konrad Adenauer, Friedrich Ebert, Hanns Seidel and Friedrich Neumann — had been collaborating with various Tunisian partners. Although the scale of their activities was limited by the contingent political reality, they were diffusing liberal values and promoting political debate among the small civil society tolerated by the regime, ultimately building a pattern of trust with them. After the revolution, the involvement of German foundations skyrocketed, with an increasing number of partners and a threefold budget increase devoted to initiatives and programs. In Tunisia today, six German political Foundations are operating: the four above-mentioned in addition to the Rosa Luxemburg and Heinrich Böll Foundations. The Konrad Adenauer Foundation has even opened a second office — the Maghreb’s headquarters — as the size of initiatives was beyond the capacity of the country office. The activities on the ground targeted political parties, civil society and national institutions and they range from delivering training to young politicians — both multiparty training and single party training — to cooperation with national NGOs, associations and universities. The interesting aspect of the assistance the German Foundations promote depends on their status. They are affiliated to political parties in Germany and they depend financially on the Bundestag, which allocates the budget according to the electoral performance of each party. The foundations are therefore protected by the German political system and they naturally operate in accordance with the values of the political parties. Yet, political parties do not impose constraints on the structure of their foundations’ agendas, leaving them free to operate along with their autonomously selected national partners. This mechanism frees the political foundations from complying with political/ideological directives and, in turn, creates tangible advantages in the country where they operate, as the Tunisian case demonstrates. First, national partners perceive assistance as reliable and genuinely aimed at enhancing national actors’ capacity. Second, the different German Foundations on the ground can create a comprehensive dialogue and render their actions more effective. There is a tendency, for instance, to avoid overlaps with each other in the domain of expertise and to set the respective agendas in a fairly coordinated way. Third, German Foundations rarely tend to influence partners on decisions which concern sensitive domestic affairs. Rather, they create horizontal platforms of discussion with the domestic partners to set the goals. The Germans’ growing presence in Tunisia goes beyond the role played by the political foundations and it includes the Deutsche Welle, the Goethe Institute and the remarkable economic projects the German Development Agency funds. In addition to old European partners such as Italy and France, that are supporting Tunisia but have a controversial history of blind support to Ben Ali, two new North European democracies are increasing their role in Tunisia: Denmark and Holland. Tunisia today is in an economically fragile situation. The country needs to answer to citizens’ demands for greater development through structural reforms, wealth redistribution and the tackling of informal market and invasive corruption. Large portions of the population are disenfranchised and disillusioned with politics. Yet, the political transition seems to be proceeding relatively smoothly, especially if Tunisia’s internal situation is compared with its MENA neighbors. It is worth noting that despite the continuing tensions in the country, the resolution of domestic issues rests on public spaces and involves national actors who can rely on a solid — or at least solid enough — institutional and legal framework. The capacity of national actors to remain the major actors in the transitional process, however, depends on the international context surrounding the transition. Tunisia, indeed, shows how low the impact on national politics is when it comes to issues which have long impeded competitive politics elsewhere. The country can count on a large network of international democratic promoters which operate on the ground, avoiding regression to authoritarianism. In this regard, scholarly debate should start to review its negative — and generalized — conclusion about the effects of democratic promotion in Middle East, trying to focus on the geopolitical conditions that allow it to work. L.C. Brown, International politics and the Middle East: Old rules, dangerous game (London: I.B. Tauris, 1984) 3-5. See for instance, E. Karsh, “Cold War, post-Cold War: does it make a difference for the Middle East?” Review of International Studies 23, 3 1997): 271-291. F. Halliday, The Middle East in international relations: power, politics and ideology (Cambridge, UK: Cambridge University Press, 2005). J. Abadi, “Tunisia and Israel: relations under stress,” Middle Eastern Studies 53, 4 (2017): 507-532. H. Beblawi and G. Luciani (Eds. ), The Rentier State (London, UK: Routledge, 2015). Hereafter, the information comes from interviews held by the author with officials from German Foundations and U.S. INGOs. “Tunisia Weekly: Prime Minister Chahed Meets U.S. Officials in Visit to Washington,” Project on Middle East Democracy (POMED), July 12, 2017, https://pomed.org/tunisia-weekly-prime-minister-chahed-meets-u-s-officials-in-visit-to-washington/. In 2006, Freedom House launched the Young Leaders programs, which brought a number of Tunisian political activists to Washington. All these foundations had offices operating in Tunisia under Bourguiba and Ben Ali. Friedrich Neumann appeared in Tunisia in 1962, Friedrich Ebert in 1970, Konrad Adenauer came in 1982 and Hanns Seidel in 1989. For instance, the tension soured last January, when a man was murdered during the protests. See “Tunisian opposition leader calls for continued protests, January 9, 2018, https://www.aljazeera.com/news/2018/01/anti-austerity-protests-tunisia-turn-deadly-180109070431217.html. Turkey's elections: Can the opposition win?